Japanese holdouts (残留日本兵, Zanryū nipponhei, "remaining Japanese soldiers") were soldiers of the Imperial Japanese Army and Imperial Japanese Navy during the Pacific Theatre of World War II that continued fighting after the surrender of Japan in August 1945. Japanese holdouts either doubted the veracity of the formal surrender, rejected demobilization for ideological reasons, or were simply not aware because communications had been cut off by Allied advances. Some continued to fight enemy forces and local police, or volunteered with local independence movements such as the First Indochina War and Indonesian National Revolution, for years after the war was over. Many holdouts were discovered in Southeast Asia and the Pacific Islands over the following decades, with Private Teruo Nakamura surrendering on Morotai Island in Indonesia in December 1974. Newspapers reported holdouts into the early 1980s and said searches had been conducted several times over the decades, but the information was too scant to take further action. Shigeyuki Hashimoto and Kiyoaki Tanaka joined the Malayan Communist Party's guerrilla forces to continue fighting, returning to Japan in January 1990 only after the CPM laid down its arms and signed a peace treaty. Since the 1990s a number of holdouts have been allegedly spotted, which some investigators believe to be stories invented by local residents to attract Japanese tourists. Captain Sakae Ōba, who led his company of 46 men in guerrilla actions against United States troops following the Battle of Saipan, did not surrender until December 1, 1945, three months after the war ended. On January 1, 1946, 20 Japanese Army personnel who had been hiding in a tunnel at Corregidor Island surrendered to a US serviceman. Lieutenant Ei Yamaguchi and his 33 soldiers emerged on Peleliu in late March 1947, attacking the U.S. Marine Corps detachment stationed on the island believing the war was still being fought. Reinforcements were sent in, along with a Japanese admiral who was able to convince them the war was over. They finally surrendered in April 1947. On May 12, 1948, the Associated Press reported that two Japanese soldiers surrendered to civilian policemen in Guam the day before. On January 6, 1949, Yamakage Kufuku and Matsudo Linsoki, two Imperial Japanese Navy machine gunners, surrendered on Iwo Jima. Private 1st Class Yūichi Akatsu continued to fight on Lubang Island in the Philippines from 1944 until surrendering in the village of Looc in March 1950. On June 27, 1951, the Associated Press reported that a Japanese petty officer who surrendered on Anatahan Island in the Marianas two weeks before said that there were 18 other holdouts there. A U.S. Navy plane that flew over the island spotted 18 Japanese soldiers on a beach waving white flags. However, the Navy remained cautious, as the Japanese petty officer had warned that the soldiers were "well-armed and that some of them threatened to kill anyone who tried to give himself up. The leaders profess to believe that the war is still on." The navy dispatched a seagoing tug, the Cocopa, to the island in hopes of picking up some or all of the soldiers without incident. After a formal surrender ceremony all of the men were retrieved. The Japanese occupation of the island inspired the 1953 film Anatahan and the 1998 novel Cage on the Sea. Murata Susumu, the last holdout on Tinian, was captured in 1953. Corporal Shōichi Shimada (島田庄一) continued to fight on Lubang until he was killed in a clash with Filipino soldiers in May 1954. In November 1955, Seaman Noburo Kinoshita was captured in the Luzon jungle, but shortly afterwards committed suicide by hanging himself rather than "return to Japan in defeat". In 1955, four Japanese airmen surrendered at Hollandia in Dutch New Guinea: Simada Kakuo, Simokubo Kumao, Odjima Mamoru and Jaegasi Sanzo. They were the survivors of a bigger group. In 1956, nine soldiers were discovered and sent home from Morotai. In November 1956, four men surrendered on the island of Mindoro: Lieutenant Sigheichi Yamamoto and the Corporals Unitaro Ishii, Masaji Izumida and Juhie Nakano. Private Bunzō Minagawa held out from 1944 until May 1960 on Guam. Sergeant Masashi Itō, Minagawa's superior, surrendered days later, May 23, 1960, on Guam. Sergeant Shōichi Yokoi was discovered in Guam on 24 January 1972, almost 28 years after the Allies had regained control of the island in 1944. In January 1972, Corporal Shoichi Yokoi, who served under Masashi Itō, was captured on Guam. In October 1972, Private 1st Class Kinshichi Kozuka held out with Lt. Onoda for 28 years until he was killed in a shootout with Philippine police. In March 1974, Lieutenant Hiroo Onoda surrendered on Lubang after holding out on the island from December 1944 with Akatsu, Shimada and Kozuka. 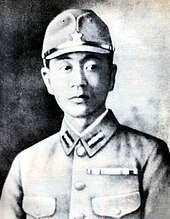 Onoda refused to surrender until he was relieved of duty by his former commanding officer, Major Yoshimi Taniguchi, who was flown to Lubang to formally relieve Onoda. Private Teruo Nakamura, a Taiwanese-born soldier (Amis: Attun Palalin), was discovered by the Indonesian Air Force on Morotai, and surrendered to a search patrol on December 18, 1974. Nakamura, who spoke neither Japanese nor Chinese, was the last confirmed holdout and was discovered 29 years, 3 months, and 16 days after the Japanese Instrument of Surrender was signed. The Asahi Shimbun reported in January 1980 that Captain Fumio Nakaharu (中晴文夫) still held out at Mount Halcon in the Philippines. A search team headed by his former comrade-in-arms Isao Miyazawa (宮沢功) believed it had found his hut. Miyazawa had been looking for Nakahara for many years. However, no evidence that Nakahara lived as late as 1980 has been documented. In 1981, a Diet of Japan committee mentioned newspaper reports that holdouts were still living in the forest on Vella Lavella in the Solomon Islands, and said searches had been conducted several times over the decades, but said the information was too scant to take any further action. Since the 1990s a number of holdouts have been allegedly spotted. However no proof of their existence has been found and some investigators believe these may be stories invented by local residents to attract Japanese tourists. Japanese holdout soldiers have been portrayed in a number of films, including Anatahan (1953), Don't Give Up the Ship (1959), The Last Flight of Noah's Ark (1980), Chi trova un amico, trova un tesoro (1981), and American Ninja (1985). In two 1965 episodes of the TV comedy Gilligan's Island, "So Sorry, My Island Now" and "Diogenes, Won't You Please Go Home? ", the castaways are captured by a lone IJN Japanese holdout. In the TV series The Six Million Dollar Man, episode "The Last Kamikaze" (1975), Colonel Steve Austin is captured by a Japanese holdout. In the TV comedy Salvage 1, episode "Shangri-la Lil" (1979), Andy Griffith discovers a Japanese holdout. In 1985, singer Thomas Dolby and Sakamoto Ryuichi made a song called "Field Work", and the video clip shows about a stalker who stalked a former Japanese Army straggler found in Iwo Jima. Thomas acted as the stalker, who studies the former straggler (hence the "Field Work") and Sakamoto Ryuichi acted as the former straggler. The 1999 children's novel Kensuke's Kingdom by Michael Morpurgo features a Japanese holdout on an island near Australia. In the 2015 season 6 premiere of the television show Archer, the titular character finds a Japanese holdout soldier in the jungles of Borneo. ^ "Hidden Japanese surrender after Pacific War has ended - Jan 01, 1946 - HISTORY.com". ^ "Profiles of Known Japanese Holdouts | Lt Ei Yamaguchi, Surrendered – April 1947". Wanpela. ^ "Hirohito Photo with MP's Induces Japs to Give Up". Albuquerque Journal. May 12, 1948. p. 6. ^ "Japanese Surrender After Four Year Hiding". Pacific Stars and Stripes. Jan 10, 1949. p. 5. ^ "Profiles of Known Japanese Holdouts | Yamakage Kufuku". Wanpela. Retrieved 2012-06-05. ^ "Pacific War Finally Ends for 19 Die-Hard Japanese". Pacific Stars and Stripes. Jun 27, 1951. p. 1. ^ a b c d "Final Straggler: the Japanese soldier who outlasted Hiroo Onoda". A Blast from the Past. September 15, 2015. Retrieved 2015-09-22. ^ "Registry". No Surrender Japanese Holdouts. ^ "Gettysburg Times - Google News Archive Search". news.google.com. ^ 宮沢, 功 (1957). "連載 サラリーマン男のロマン ミンドロ島戦友捜索奮戦記". 実業之日本. Jitsugyo no Nihon Sha. 83 (6): 102–105. ^ "第０９４回国会 社会労働委員会 第７号 昭和五十六年四月十四日（火曜日）" (in Japanese). Kokkai.ndl.go.jp. Retrieved 2014-01-18. ^ "No Surrender Japanese Holdouts After WWII". www.wanpela.com.